When I’m cycle-camping, I always have a general plan, but the details just sort of emerge. Sometimes, that leads to wonderful sights to see and sites to camp at. Other times, it leads to long moments trying to figure out where I should point my bike now and pitch my tent later. That happened today in Silver Bay. 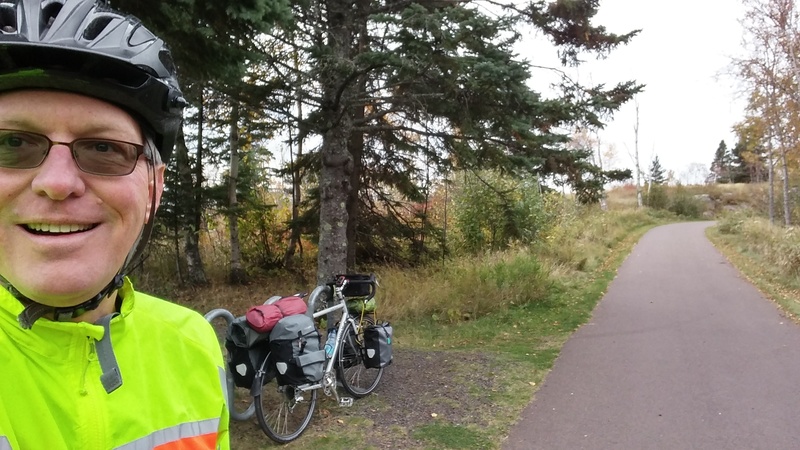 Before Silver Bay, I left my campsite at G ooseberry Falls and enjoyed the Gitchi-Gami Bike trail, which was a few yards from my campsite. I’ve taken a few long trails on this trip. They reflect the local landscape. 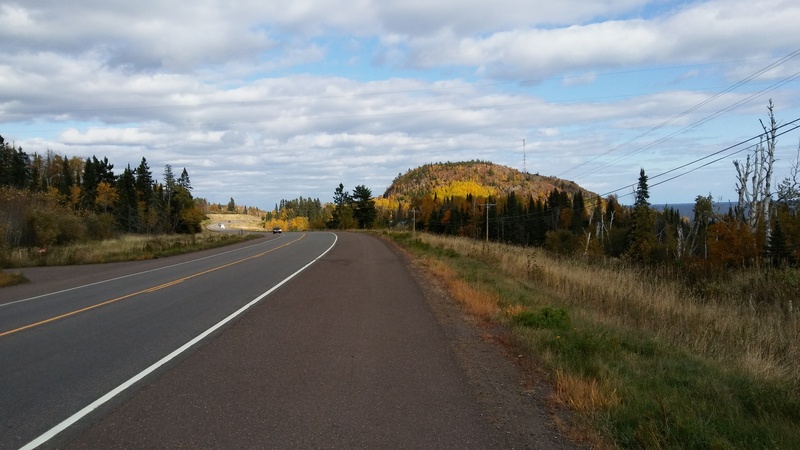 The one south of Duluth is in farmland, very flat. That’s the trail I rode 90 miles on. 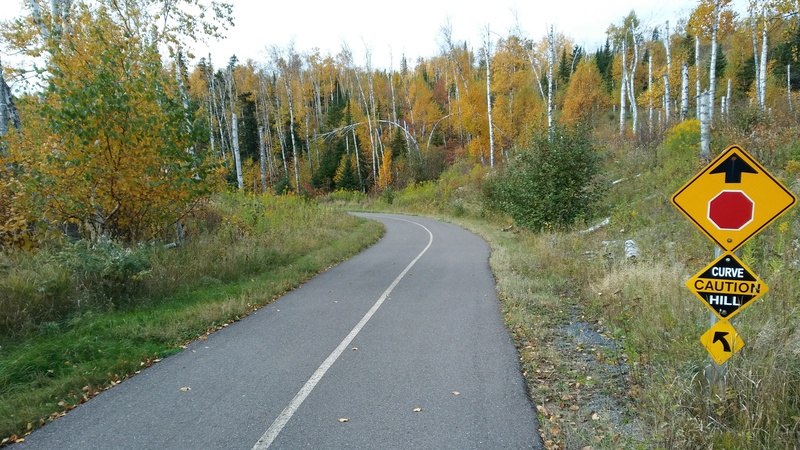 The Gitchi-Gami Bike trail is more like lake it’s named after, Lake Superior. Sometimes, it’s smooth and relaxing, but other times, it tosses you around, with hills and turns. 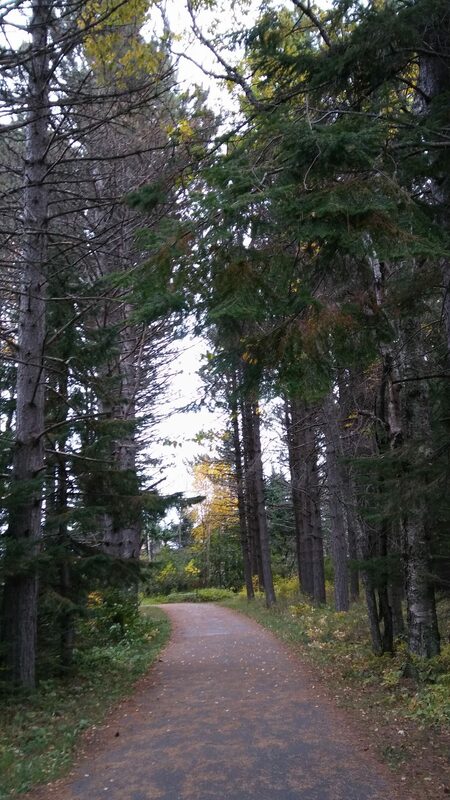 I still enjoyed the trail, just learned to save some legs for the end. 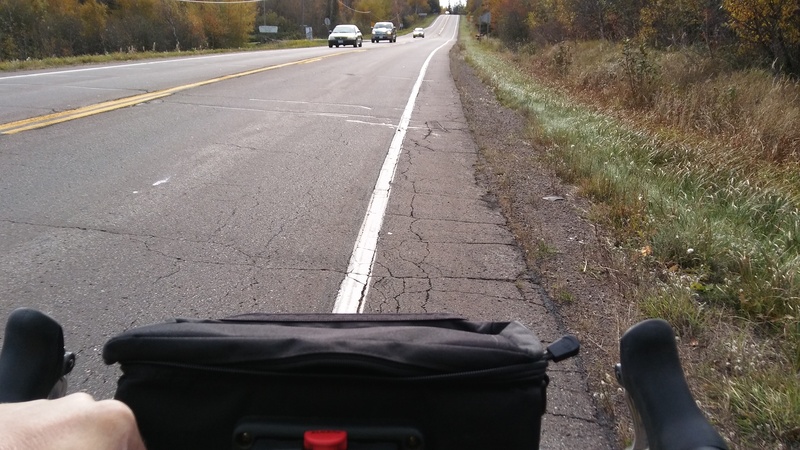 When it ended, I rode the road in Beaver Bay, with increasing traffic. 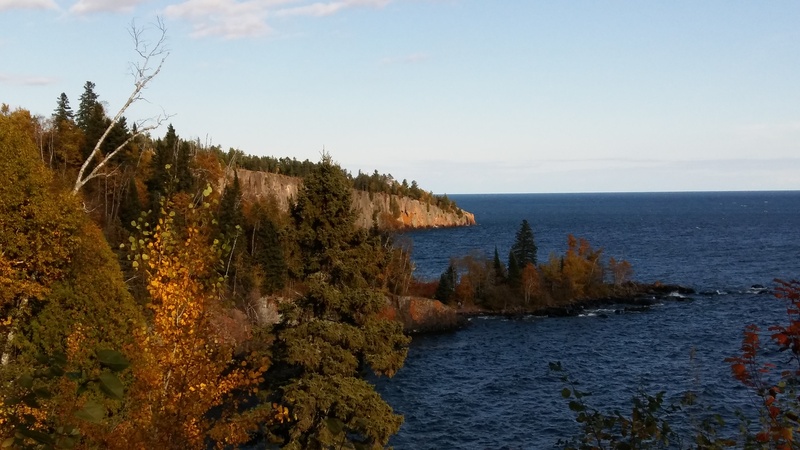 Near Silver Bay, the traffic increased and the road became narrower, on Hwy 61. Silver Bay is a mining town, and I rode right by plants that process what’s dug up. Mining and cycling aren’t natural partners, so the road was better suited for semis full of rock than my bike, with very narrow shoulders. I had the feeling that I could soon be very much like a bug on windshield, so I turned off on a road into the town, up a long hill. I had to push my bike up the top of the hill. I found a bank, got some cash, and wondered where to point my bike next. Cell phone coverage was poor, so Google couldn’t help me find a place to stay during the night. That meant using my GPS. The maps on my GPS are older, so a fair amount of fiddling is needed to find a place. 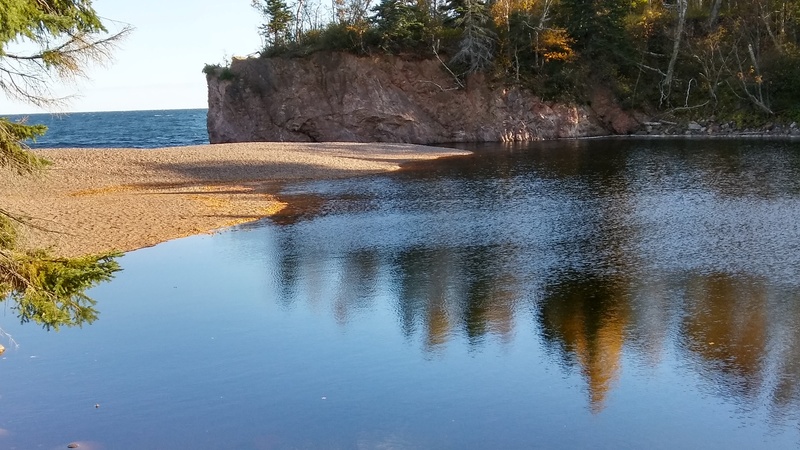 After a while, I found a state park I’ve always wondered about, called Tettegouche (Tet-ta-gooch). Unfortunately, it would be challenging to get there, since there were only 2 options. 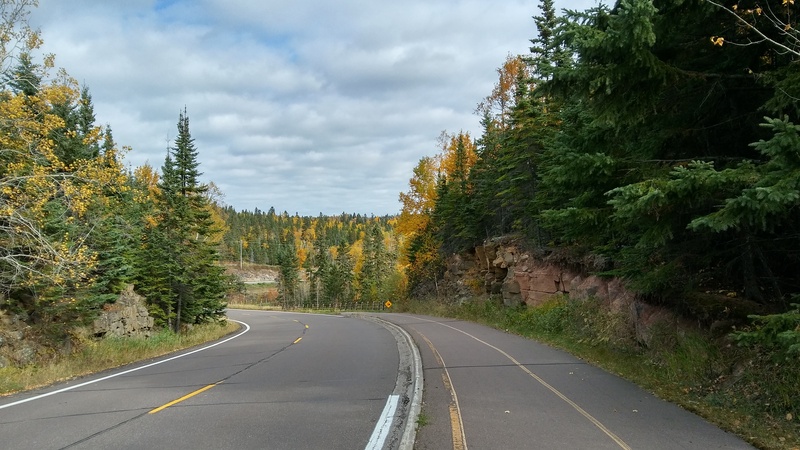 I could get back on Hwy 61 and hope a semi didn’t nudge me off the road, or I could take a very long loop inland, up some long hills. 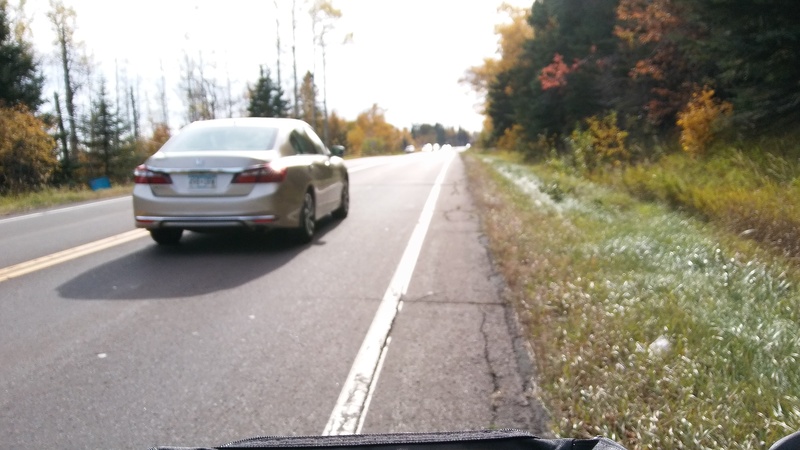 My legs couldn’t take many more hills, so I went back to Hwy 61. There were moments when I had to call on my experience with cycling in London, but eventu ally, the road widened. That allowed me to enjoy some sights. 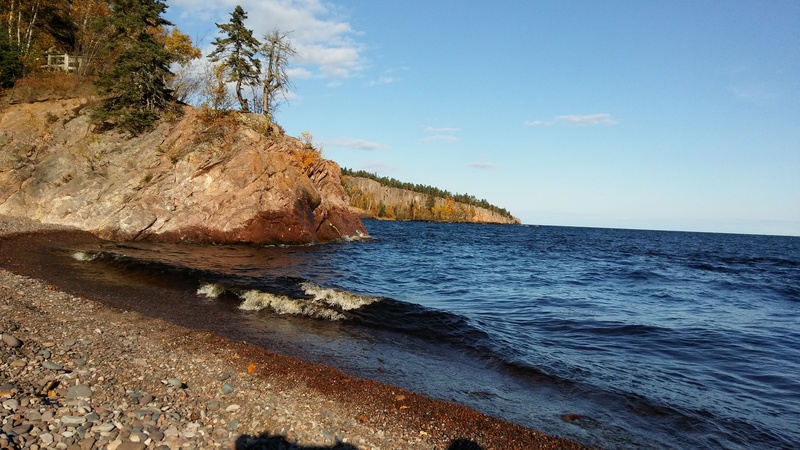 In a short while, I was enjoying Tetagooch State Park. One of them was a nice beach. I laid on it for a while, listened to the waves, and let my thoughts wander. Here are some pictutres that I like but didn’t fit into the “story” of today.